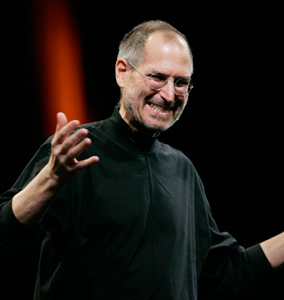 Apple co-founder Steve Jobs has earned the top spot in Fortune magazine’s list of the top 12 entrepreneurs of our time. Jobs bested Microsoft’s Bill Gates, FedEx’s Fred Smith and Amazon’s Jeff Bezos in a list that surprisingly doesn’t include a single woman. Jobs was largely successful because he strayed from the beaten path when developing a new product. He believed that market research and focus groups limited a company’s ability to create a great product. When asked about how much market research was done to lead the development of the iPad, Jobs said, “None. It isn't the consumers' job to know what they want. It's hard for [consumers] to tell you what they want when they've never seen anything remotely like it." As the Fortune piece notes, the former CEO relied on his intuition when making important business decisions and demanded only the best from his employees. Small details pertaining to the user experience were often put in higher regard than most companies would bother with. The majority of individuals that made the top 12 list did so based heavily on economic and social impact. Other key categories for admission include those who have inspired employees and other entrepreneurs with their world-changing vision and have a record for innovation.